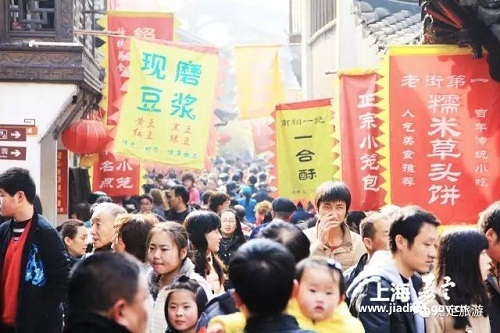 Eight A-level scenic spots in Shanghai's Jiading district welcomed more than 260,000 visitors during the seven-day Spring Festival holiday, local media reported on Feb 7. The income generated by the eight tourist attractions during the holiday, which this year ran from Jan 27 to Feb 2, amounted to over 1 million yuan ($146,000). The eight scenic spots include Nanxiang Old Street, Guyi Garden, Tanyuan Garden, Zhouqiao Scenic Spot, Huating Modern Agriculture Park, Auto Expo Park and Auto Museum. The venues helped attract large numbers of visitors by hosting a number of special activities, such as light shows, riddle guessing, and a Spring Festival pictures exhibition.